August 8, 2018 – Late Tuesday afternoon the last of 37 school districts drove away with brand new school supplies for children in need. United Way of the Coastal Bend gave Habitat for Humanity-Corpus Christi $40,000 for the long-term recovery of Corpus Christi residents. Habitat for Humanity’s volunteers and recipient homeowners worked together to repair and rebuild the roofs of six homes. The seventh began construction on July 9th. A team of volunteers from Enterprise Rent-A-Car, Higginbotham, NuStar and Valero joined United Way staff for the 2018 Day of Action on Thursday, June 21st. Day of Action is a nationwide event where local United Ways gather generous volunteers and take on projects that better the community. MAY 15, 2018 – United Way of the Coastal Bend announced grant awards totaling $2,465,387.20 to 35 local programs that change lives in the areas of education, health and financial stability across 60 communities. 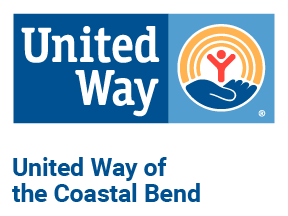 In the 2016-2017 fiscal year, United Way of the Coastal Bend’s grant-funded programs helped more than 130,000 people.